Recently a good friend of my mothers moved 3 hours away. She left her home, her family farm and her friends. She left with her daughter who is about to be 15 years old. My first thought was divorce and I was horrified knowing how long and happily the couple had been married. Thankfully it wasn’t divorce that drove them away, no indeed. Her husband works out-of-town frequently and will be seeing them often, just in a different house in a different town. The reason they left is her daughter was being tortured by her classmates. Mind you they weren’t sticking needles in her eyeballs but they might as well have been. Mockery, name-calling, purposeful shunning and ill-thought pranks are all forms of torture, especially when you are a teenage girl. It is noteworthy that the girl is not the type you would think suffered such issues. She is blond, attractive, athletic and sweet-natured with a family whose income is above average. Which, is probably why she suffered. Adults and children alike have a tendency to envy that which they are not or have not. And instead of focusing on improving themselves and working to acquire what they desire, they choose to drag down and destroy those who they envy. It is so much easier to be lazy and wallow in your own self than to get off your sorry bum and DO something. Get in shape, go for a walk and focus on being kind. Your kindness will make you beautiful from the inside out. Human beauty is truly found with-in. I see hundreds of people unhappy with themselves, their circumstances or both, ready to pounce on the first happy person they see and inflict their misery on them. I liken these people to chickens. Misery loves company and once a chicken has been pecked and begins to bleed the others waste no time joining in a bloody pecking-fest that results in the death of the chicken unless caught early-on. The injured chicken must be removed from the flock, allowed to heal and introduced back into the flock under careful supervision. My mothers friend removed her chick from the flock before real injury could take place. Her chick is lucky. Many others are not. They have parents who either don’t have the resources or the compassion to protect their chicks. Or they simply may not know their chick is in danger, many times the issues are hidden and remain unknown until it is too late. It makes my heart hurt to think of the beautiful, sweet souls that are our girls and that they should be injured in any way. I will never understand those who are unkind on purpose. Once I was at the movies, I was a teenager and was watching “The Horse Whisperer”. A man was sitting behind me, talking and making noises. After awhile I turned around and said, in a very unkind voice, “Would you be quiet!?”. Only after the words left my lips did my eyes see he was handicapped. I wanted to melt into the theatre floor. I didn’t have the courage to turn around again and apologize. I didn’t see the rest of the movie and I have no idea what happened to Robert Redford but I know this. I learned an important lesson that day. Be kind. Think and look before you speak. Remember what is important and what is not. People are important. Kindness is important. Thoughtfulness is important. YOU are important. And our ‘chicks’ are the most important of all. Treat them with care, protect them and teach them to protect themselves. Teach them to be kind, to smile and to love. I think in these times we live in, kindness is related to weakness in peoples minds. Or that kindness is a feminine trait, heaven forbid anyone think a girl is feminine. It is okay if a boy is feminine though, he was just born in the wrong body……I’m going to stop there because there has been enough horseradish written about THAT subject. No matter. Be kind. As all the little chicks (and roosters too!) head back to school I encourage you to look out for them, have their back, protect them and practice acts of kindness as a team. Teach them to be kind by being kind yourself, make it a habit. Leave the world around you a better place each day, you never know who is struggling, who may be fighting demons within you know nothing about. And you don’t need to know. Just be kind. 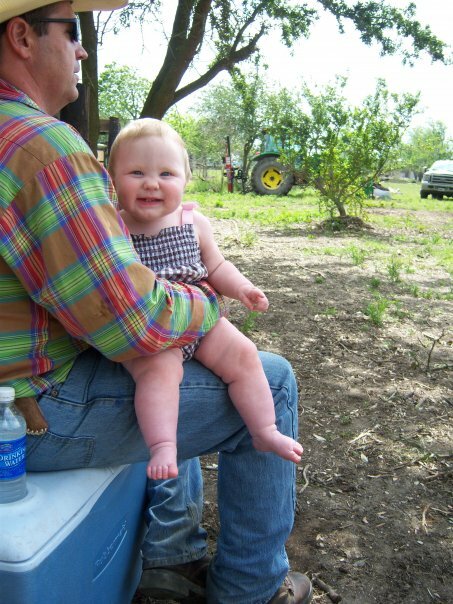 My husband holding my chick when she was still a chicklet. Great stuff here…so sorry to hear that people actually have to move to protect their children.